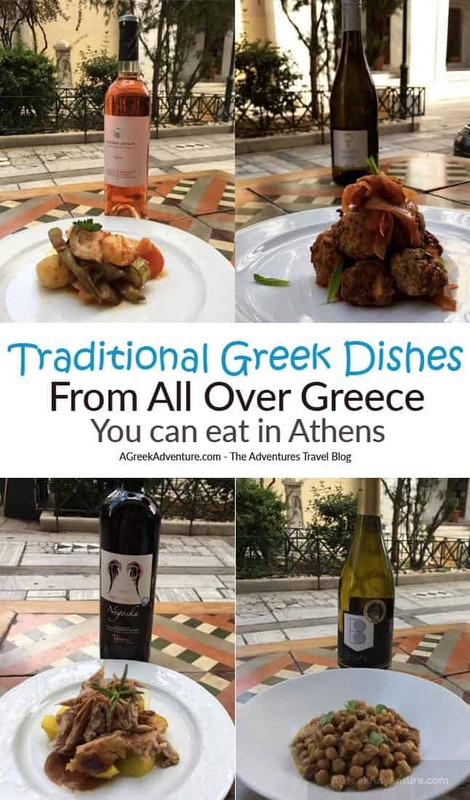 To find the best traditional Athens food in Athens Greece you must be informed from locals. Yes, sure, searching in Tripadvisor is an additional way to look for such, but locals will help you avoid tourist traps. 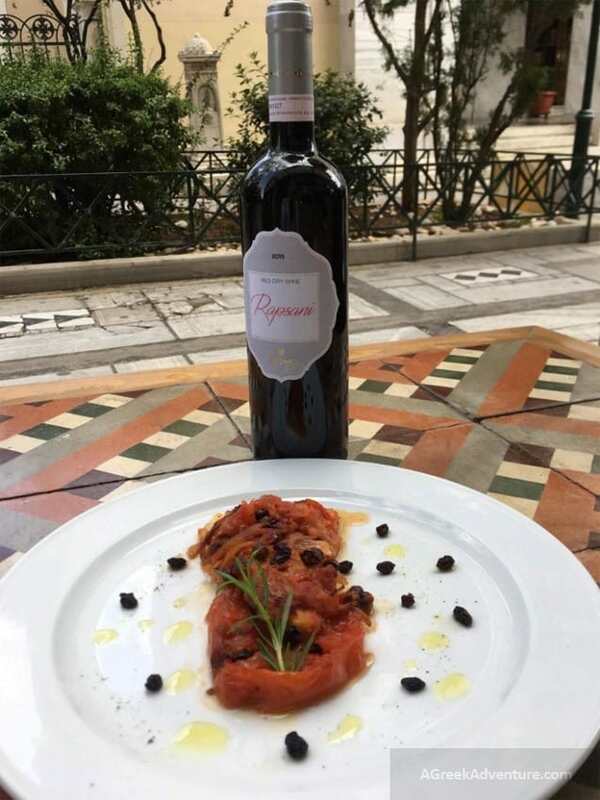 We asked one such real traditional food restaurant in Athens to suggest us 10 food from the Greek cuisine that come along with a great story. As in many countries, so in Greece, food is reflecting many things. It is about family and means. Especially Sunday food was cooked with extra care; an opportunity for family members to sit down all together and exchange dreams and hopes and worries. 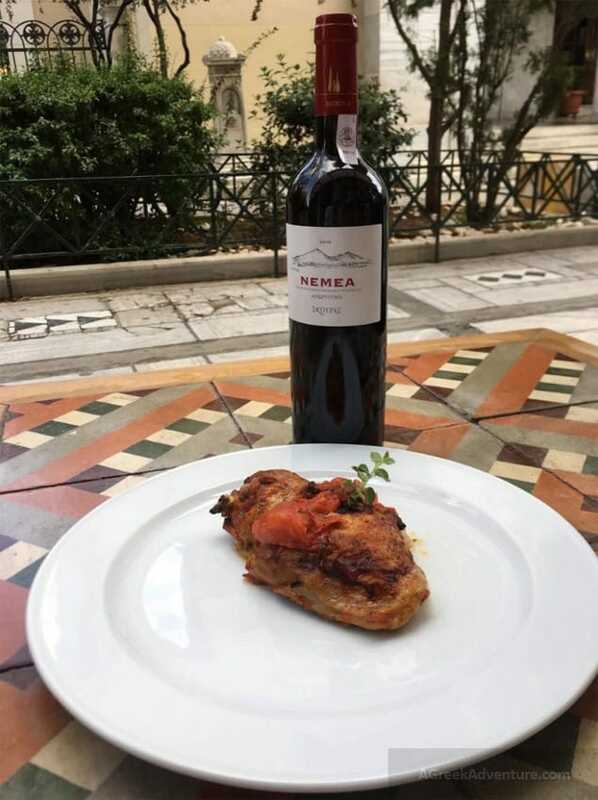 Some of the traditional Athens foods are influences from close by countries which occupied regions or all of Greece from time to time. On top of that there are restaurants in Athens that serve traditional food from all over Greece. Yet, these tastes didn’t remain the same but were implemented in traditional Greek cuisine, following materials, means and methods of each era. 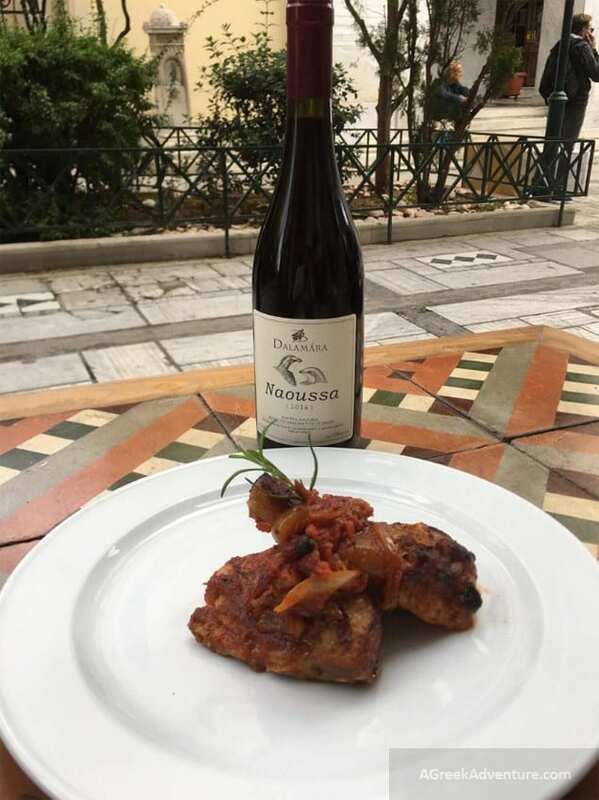 If you wonder what to eat in Athens then do try these recipes, cooked with care in a small restaurant in the center of Athens who comes with a special name: Manas Kouzina Kouzina (means: Mothers Kitchen). We have been there before and we know. Send them an email or book prior your arrival and ask for Stefanos! Their strong point? They have thoroughly searched and cook for different recipes from all over Greece. Imagine this place like Poble Espanyol but for food, in Athens, Greece. Here are 10 plates of characteristic Greek cuisine, other than souvlaki and mousaka. 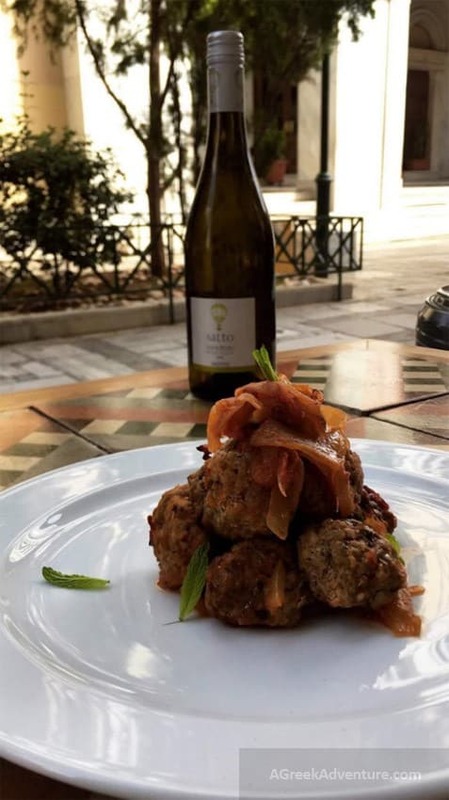 Eat these while in Athens, along with the wine proposal per plate. This plate comes from the island of Sifnos. It is the most popular dish of that island along with Mashtelo. Chickpeas was the easy cooked food Greek housewife (but not less in taste). The food was slowly cooked since Saturday night, to be eaten in the Sunday family lunch, after church. There are many monasteries and churches in Sifnos island, thus every Sunday, Greek housewives wanted to have a free from works morning time to go to church. Chickpeas was one of the choices for that. Chickpeas were cooked slowly in a wood oven, slowly boiling in a closed casserole, while getting caramelized with olive oil, fresh onions and laurel. This way of cooking remains the same until today in Sifnos. 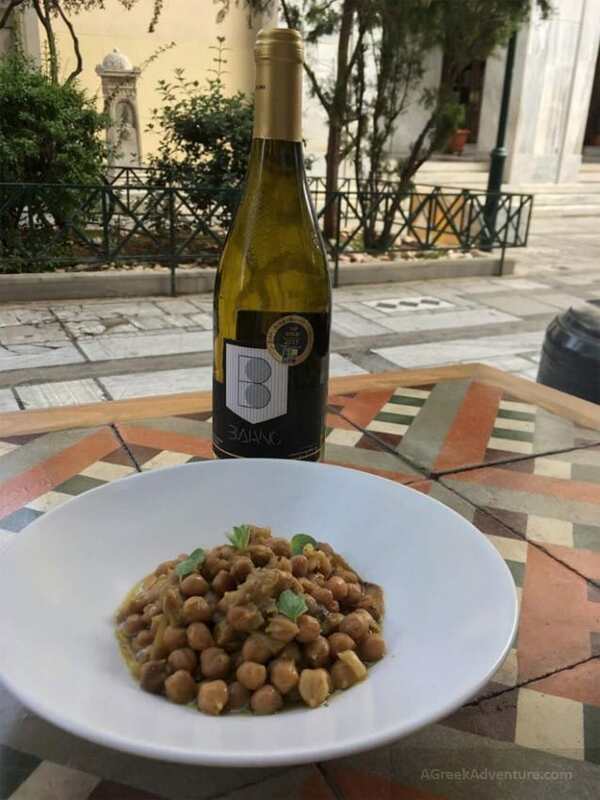 The authentic Sifnos chickpeas takes place in “skepastaria”. This is a tall curved with handles pot made by clay. Because chickpeas is baked in a wood oven, it gets a mild smoked flavor. 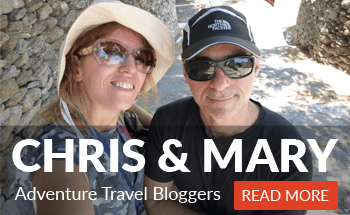 Another important ingredient for great chickpeas of Sifnos was the… water. Locals used rain water (gathered in cisterns) and not tap water. Rain water is “softer” and without mineral salts, thus chickpeas were cooked in a really mild way without getting mushed. That very combination of a mere clay pot, a wood oven and rain water, leveraged the plain “low profile” chickpeas to a really special plate, with their aromas being released all over. While the technique for the same food with the same name exists in the island of Kefalonia, its origin comes from the neighborhood island of Ithaca. Cherepa is about chicken in pieces, with vegetables and coarsely chopped potatoes, along with salt, pepper, garlic, olive oil and lemon. Cherepa is a unique plate, a bit troublesome to make but definitely worth the trouble. Few have the genuine Cherepa utensil. Cherepa is a lid made by white clay, knead with goat wool in order not to easily dissolve. At the area of Platrithias is a location with clay (area is called Koutalas) from where all “Cherepa’s” of the island were constructed. The first time the lid is constructed it is placed over strong fire in an 45 degrees angular way until it becomes white. So, Cherepa is the lid to cover the pan with the food. Those who don’t have the Cherepa lid can use a clay hull (gastra) over slow fire. If the food is cooked slowly in that hull it becomes the same as using Cherepa (in case you want to try it back home). Pastitsada (not the same as Pastitsio or Pastichio) is the main recipe of Corfu island, Greece. It is made wither with veal or rooster along with pasta. The red sauce Pastitsada was cooked far before the usage of tomato. It’s red color came from the red peppers and spices. The Pastitsada spiced mixture consists of 15 different spices and you can buy it in Athens to take it back home. Ask Stefanos where to get it in Athens. So, spices are the main actor in this food. The term Pastisada commes from the word “spezzatino”; an old Venetian recipe made with veal and potatoes instead of pasta. 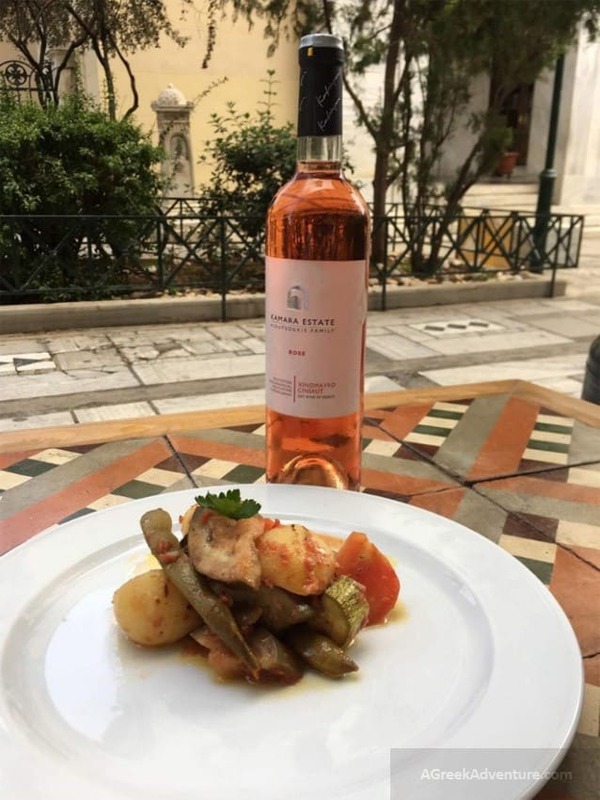 Venetian origins influenced greatly the life and habits of Corfu for many years and everybody in Corfu agrees that Pastitsada really has Venetian origins. However there is a story less known. Pasticciada (as people of Corfu call it)is not the same as Venetians call it. Venetians call it Pastissada de caval, as today Pastissada is eaten in Verona but is made by horse meat seasoned in salt. Anyway, during the holiday of Virgin Mary (August 15th), the custom dictates that pastissada with rooster must be served. This comes from the time where villagers were forced to give the rooster from their hen-coop, to their landlord. Pastitsada is a really tasteful recipe from Corfu with special aromas due to spices; especially of cinnamon. Sofrito is a traditional dish from Corfu along with pastitsada and mpourdeto. The name of the plate comes from the Italian “So Fritto”, which means slowly cooked. This phrase has its origins in the Venetian era. The main ingredient is veal noix, dipped in flour and fried in oil. Then it is slowly cooked with 3 more ingredients that balance nicely (vinegar, garlic, parsley) together. Frequently white wine is also used. It is served with steamed rice or fried potatoes and chilled white wine. This food comes from Kozani (along with “giaprakia” are the most famous from Kozani), with enough sauce to dip lots of bread (this is frequent in Greece, in Greek salads too). Kioftedes were made with minced meat and since meat was not plenty “back then” due to poverty, housewives escorted them with lots of sauce and onions. These are the classical meatballs without many spices, but onion, mint and well dipped in flour give them a very special flavor. A traditional Cretan plate, never missed from Cretan marriage feasts. Actually it is their main plate. It is the pilaf rice for weddings. It is made from rice, meat broth and a special butter called “stakovoutiro”. That butter is the crust on top of the milk after being boiled for long. The rice symbolizes “binding”, fertility and plentiful of wishes for the newly weds. The usage of rice in weddings come from Ancient Greece, and is kept until today in all weddings all over Greece. If you come by a Greek wedding you will notice guests throwing rice to the couple during the wedding ceremony. Marriage rice history comes from West Crete, but it expanded all over the island. Except weddings it is also cooked for the traditional Sunday lunch. There is no Cretan feast without that rice. Cretans call it just pilaf rice. The term “wedding pilaf rice” sprung from the non-Cretans who visited the island for some wedding. An important less known thing to know is this. The pilaf rice was not made from the hands of the housewife but of the men of the house. The tradition in Crete dictates that men must make the most important plate for the wedding, with each family having its own pilaf rice expert. Men will gather in a big group, bringing huge cauldrons and place them on big fires. They boil the pilaf rice and then they also have to clean the cauldrons, without the help of women. This dish utilizes the vegetables each Ikarian has in their backyard. Vegetables must be fresh, sliced in cubes and then cooked. This food came up from a women who missed to cook for her husband, while him was coming back from work being tired and all. So she went to her backyard (perivoli) and picked whatever she could and made a quick plate. Soufiko acts as an “ambassador” for the Ikarian cuisine, since it sums all the aromas and flavors of the island. A classical plate of Messinia, Peloponnese. Fried cod fish with red sauce with onions, tomatoes and Corinthian raisins. Tradition mentions that it was made at the port of Kalamata from the port loaders of commercial ships, who exported raisins. Raisins were the most exported product during the 19th century. In parallel, cod was imported and thus the combination of these 2. One of the traditional Greek plates of Naxos island, Greece. It is usually cooked in festivities (panigyria) and weddings. The name comes from the Italian “Rosto” which means: red meat with red sauce. The meat is pinched all over and inside the holes they push garlic. Then it is seasoned with salt and pepper and olive oil. It is quenched with wine and tomato is added, while the food is slowly cooked for 1 hour. It is served with potatoes, rice or pasta. Who hasn’t heard of Greek mousaka indeed? Its origin is not historically verified but many support that it comes from the Persian “maguma”. That was a food combination of lamp and eggplant. Others support that it comes from the very origins of Greek cuisine. However, the Greek version of mousaka is placed somewhere in the 20th century. More specifically, it was created by a Master Chef named: Nikolaos Tselementes. This person was so famous, that Greek recipes books were called like that (Tselementedes) far after his death, even if someone else was publishing a new one that had no relation to that person. 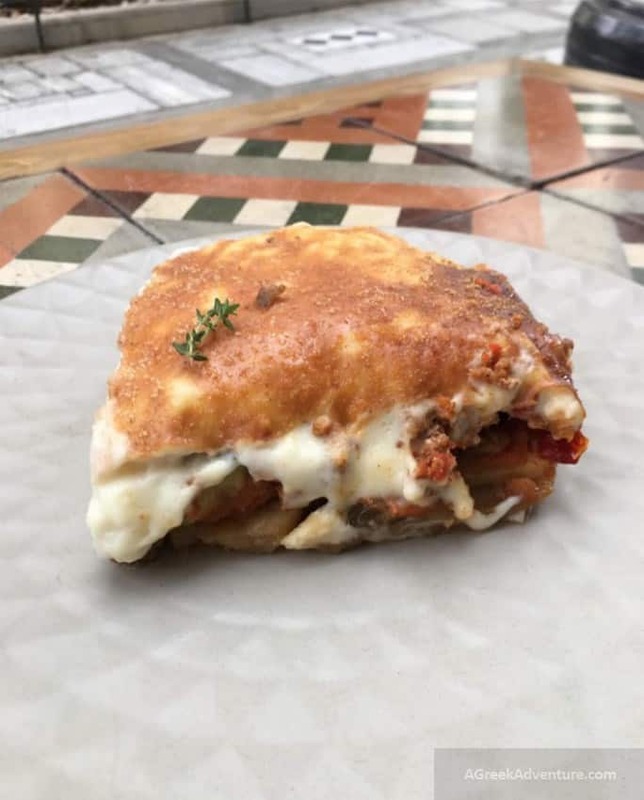 Since Greek cuisine had many Oriental elements, Tselements added the fine bechamel creme to mousaka, so to differentiate the taste and make mousaka a world famous plate. Mousaka has lots of preparation and work to make. Thus it was not preferred by farmers. 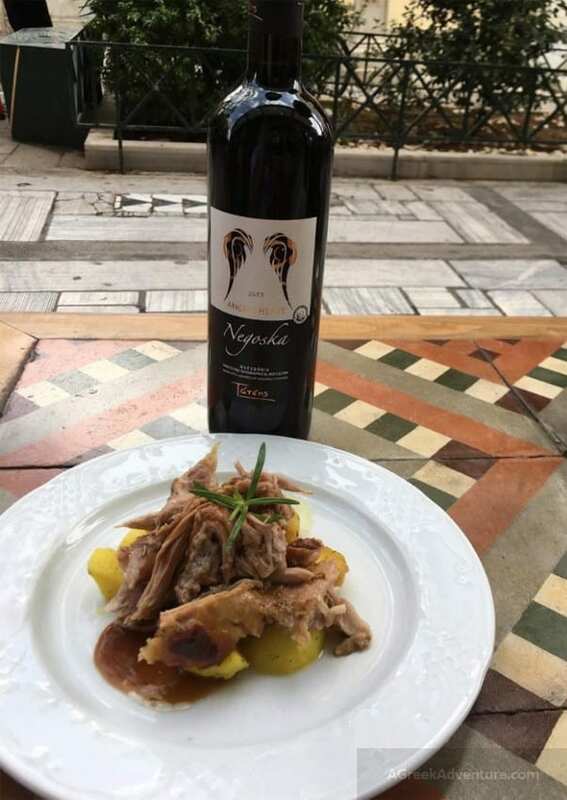 Matching food and appropriate wine comes from Sommelier -Wine Consultant: Maria Nika. 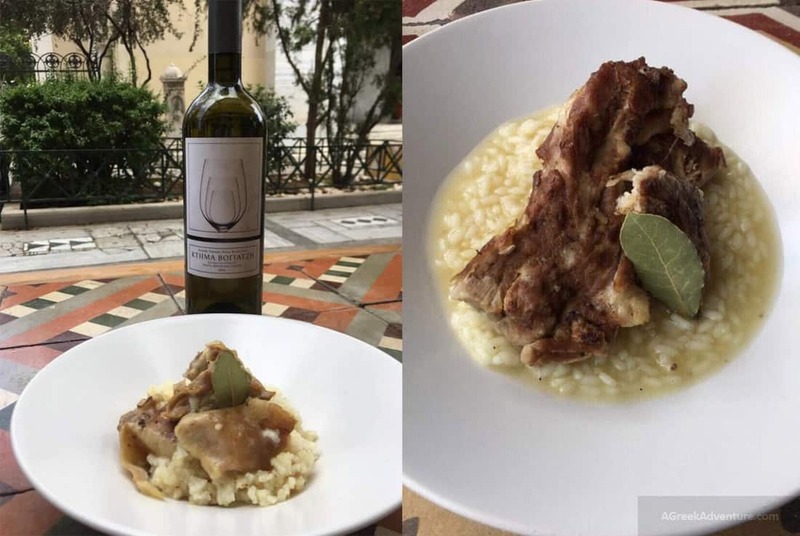 The plates come from the Chef of Manas Kouzina Kouzin, Dimitris Aivaliotis. All of these traditional Greek food dishes were served with rice, potatoes, pasta or vegetables depending on what each housewife had in her house at the time, excluding mousaka, bean soup and pilaf rice. Do pay a visit to this place to learn the history behind more plates and of course taste the great Greek food served. Feel free to pin this and read about 40 things you can do in Athens, Greece or 40 things to do in Greece all together.